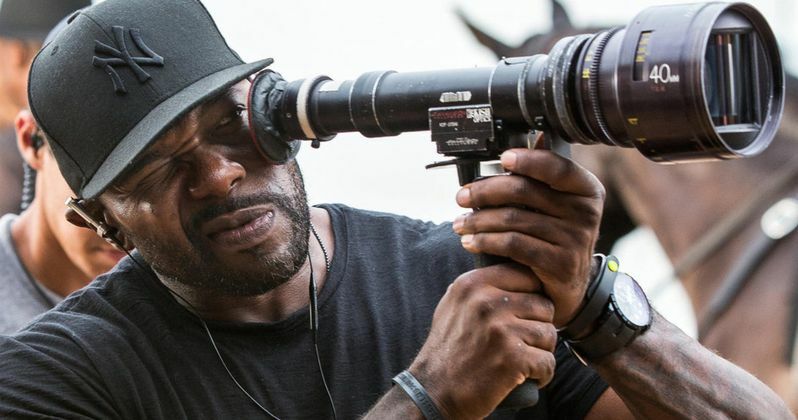 The Marvel Cinematic Universe could see Antoine Fuqua join up to direct a project in the near future. Fuqua recently revealed that he's going to meet with Marvel Studios boss Kevin Feige soon to discuss a project. The MCU has brought on directors with different styles, and Fuqua would be a welcome addition to the family. The Equalizer and Training Day director could bring a dark and gritty spin to the MCU, which has led to discussions about what project he could take on for Phase 4. In a recent interview, Antoine Fuqua discussed directing a comic book film. He has been approached in the past, but he has never taken on one of the projects. However, that could all change very soon. Fuqua admitted that he's "going to have a meeting with Kevin (Feige) soon... Just talking." While the two men will just be "talking," Feige will more than likely pitch a bunch of upcoming projects that the MCU currently has cooking and see if Fuqua is interested in anything. As with any project, the director wants to make sure that it's the right fit for him before jumping into a massive franchise. Additionally, Fuqua wants to feel out where the director fits into the project. He had this to say. "I've been approached about (superhero movies)... For me it has to be the right one, in the right situation because there's so much visual effects going on and - Where's the director in it all? I need to understand it because it's like management... they have a machine, they've got people, there's the design, the whole thing is sketched out... Is the director doing that? Or is it a hundred other people?" Antoine Fuqua was recently approached by Sony to direct Morbius the Living Vampire, which is set to star Jared Leto. Fuqua was even in talks with Marvel Studios a while back to possibly take on Black Panther. The director admits that he grew up reading comic books, and says that he would be excited to take on a superhero movie. He explains. "As a kid I grew up with comic books. They talked to me about Black Panther years ago, way back in the day. There's some reason they came up and they talked to me about a Sony, a Marvel character, Morbius (The Living Vampire)... that kinda came up. I don't know, I have a thirteen-year-old son so I'm watching more of that again and it's exciting to do that. I'd love to create a new one. Y'know, something that's closer to what I get excited about." For now, Antione Fuqua is just scheduled to talk to Marvel Studios boss Kevin Feige. In the end, it sounds like the director will not take on a project unless he can see where he fits into the whole process. Regardless, Fuqua could end up tackling an MCU Phase 4 film, which would be pretty awesome to see. You can read more about Antoine Fuqua possibly joining the MCU over at Hey U Guys.